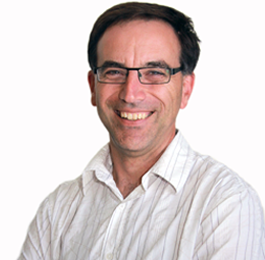 Dr. Mark Blaskovich is a Senior Research Officer at the UQ IMB with extensive medicinal chemistry expertise and over 15 years of industrial drug development experience. As Chief Operating Officer at Mimetica (Australia), he managed the drug discovery and development program for melanocortin-5 receptor antagonists leading to a compound currently in Phase II human trials. In his role at CEPTYR (Seattle) he led a multidisciplinary team that developed a preclinical candidate for protein tyrosine phosphatase 1B, while at Molecumetics (Seattle) he headed a $2m/yr industrial collaboration on peptidomimetic compounds targeting proteases and GPCRs. Since 2015, Mark is CO-ADD program coordinator for hit validation and chemistry. He has published over thirty articles and patents, and is sole author of 'The Handbook on Syntheses of Amino Acids'.